The last three months have shown both the worst and best of the society we live in. Terrorist outrages – in Manchester and now on multiple occasions in London – have highlighted the risks of polarisation and extremism. And the catastrophic fire at Grenfell Tower – just a few streets away from Wormholt and White City Big Local – demonstrates the extent to which we appear unable as a society to effectively meet the needs of often marginalised communities including, in this case, protection from avoidable disaster. But if these events have provided reasons for individual and shared despair, they have also offered visions of positivity and hope. Whilst our hearts go out to all those who have been touched or affected by recent tragedies, we have been equally moved by the astonishing examples of kindness, shared interest and solidarity shown by individuals and communities in response to those events. Whether Mohammed Mahmoud stepping in to protect the life of the terrorist attacker in Finsbury Park or the whole community coming together to provide food, clothes, shelter and much else for those who have lost their homes at Grenfell Tower, we saw evidence of individuals going beyond the expected and reaffirming the importance and value of a common and shared humanity, at the most testing of times. In particular, the coming together of people around the tragedy in Kensington shows the extent to which community can provide strength and resilience in the most extreme of circumstances, and offer hope for the future. 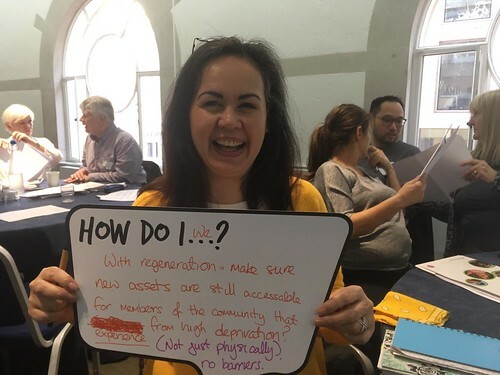 Over the last five years, we have been working with 150 Big Local communities to build skills, hope and trust in areas that had often missed out on similar investment in the past. In all the Big Local areas I’ve visited over recent months, I’ve seen real evidence of the ways in which it has contributed to building stronger and more cohesive communities, something that is ever more important in testing times.